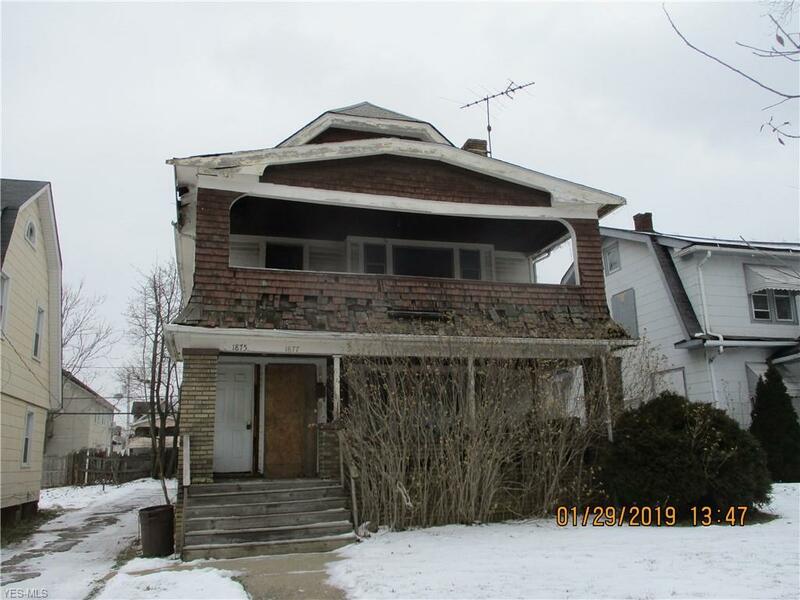 Investors Wanted--Large Two Family Home Just Off of Euclid Ave-- 3 Bedrooms and 1 Full bathroom in Each Unit, Plus Finished Attic Space-- Buyer Must Assume Any And ALL Violations From City of Cleveland--- City is Condemned by City of Cleveland and Does Have a Demolition Order-- Recommend Contacting City of Cleveland Building Department to Review What Needs to be done to Avoid Demolition Before Contacting Agents--- Priced for Quick Sale-- All Info is Approximate-- Cash Purchases Only-- Bank Owned Sold As Is with No Disclosures-- Contact Agent with Any Questions!!! Seller has received multiple offers and asked all interested parties to submit their highest and best offer no later then Tuesday Feb 19 at 10pm via the online offer system!! !